Already filled in all the pages of your Harry Potter coloring book? Here's some magical news: there are two more being released later this month. 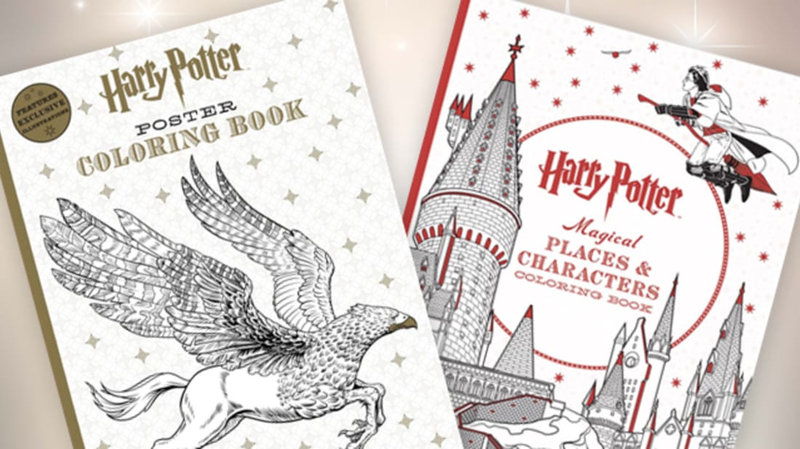 Soon, you'll be able to get your hands on Harry Potter Magical Places & Characters Coloring Book and Harry Potter Poster Coloring Book, both set for a March 29 release. The 96-page Harry Potter Magical Places & Characters Coloring Book focuses on locations, like the Dursley’s living room and the Great Hall at Hogwarts, while the 20-page Harry Potter Poster Coloring Book is filled with posters printed on high quality card stock paper. The posters are printed on one-sided pages with perforated edges, so you can easily tear them out and frame them when you've completed your creation.